Rookie Whiz , with the vision of helping rookies i.e freshers and Whiz i.e experienced candidates to go on the right path and to choose the right career . Rookie Whiz steps ahead to pave the way with the clear assistance to the students. We focus on creative output to make great things happen. No.18, Flat No.1, Second floor ( SF1), Lokesh Towers, Next to Hotel Palmgrove, Kodambakkam High Road, Nungambakkam, Chennai - 600 034. Hello Sir, I want to start my IT career. I had done MBA Finance and marketing. Please tell me sir which IT course is best In SAP. Hello, I did my MBA (HR & Marketing) in 2003, have been working as US Recruiter. I want to shift to SAP. Please suggest me that which are the modules are best to settle. 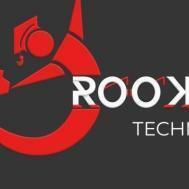 Rookie Whiz Technology conducts classes in .Net Training, C Language and CCNA Training. It is located in Nungambakkam, Chennai. It takes Regular Classes- at the Institute.